Ultimate redemption: What if someone from your past forced you to confront something that you had been hiding—even from yourself? Simon (Jason Bateman) and Robyn (Rebecca Hall) are a young married couple whose life is going just as planned until a chance encounter with an acquaintance from Simon’s high school sends their world into a harrowing tailspin. Simon doesn’t recognize Gordo (Joel Edgerton) at first, but after a series of uninvited encounters and mysterious gifts prove troubling, a horrifying secret from the past is uncovered after more than 20 years. As Robyn learns the unsettling truth about what happened between Simon and Gordo, she starts to question: how well do we really know the people closest to us, and are past bygones ever really bygones? Recognized for his extensive career in front of the camera, Edgerton, in fact, began his career as a filmmaker in Australia, forming the Film Collective Blue Tongue Films in 1996 alongside other like-minded creatives. Together the team (which includes directors David Michôd and Nash Edgerton) has written, directed, and produced a number of prestiges titles including Animal Kingdom, The Square, Wish You Were Here, Hesher, and The Rover. With the collaborative, Joel wrote and directed a few of the teams short films, as well as penning The Square, prior to writing the Matthew Saville directed feature film Felony, which he also starred in and produced. 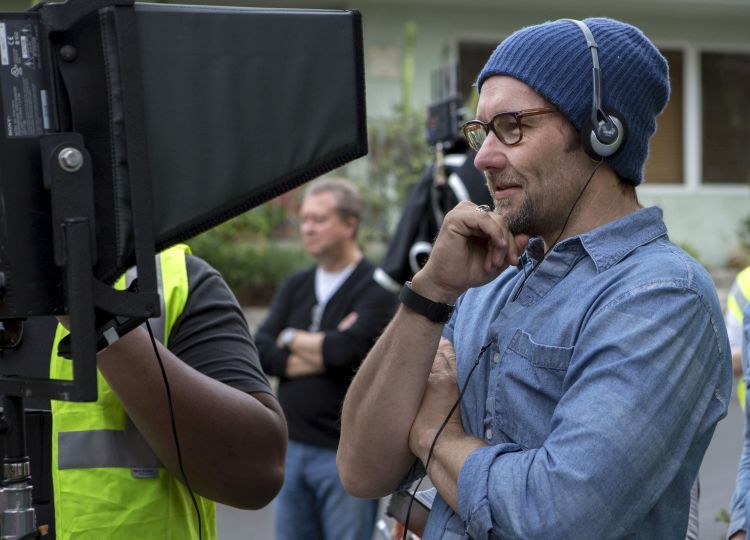 Director Joel Edgerton on the set of The Gift. 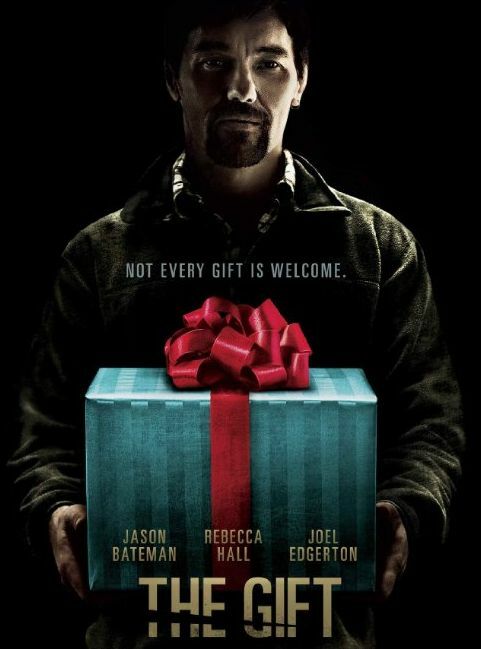 The Gift not only marks Edgerton’s remarkable feature directorial debut, but he delivers an outstanding performance as the creepy Gordo who drastically uproots the lives of a happy couple. ”The Gift started for me with a simple premise: what would happen if a high-school bully ran into his victim fifteen or so years later? What would or could be the effects? How might the past come to bear on the present? How could the past, unaccounted and unresolved, rupture a present situation?” says Joel Edgerton. People view their pasts through the prism of their own individual experiences. What one person may remember as a harmless practical joke, another may internalize as a deeply wounding transgression. In any case, most people move forward with their lives, past grievances ultimately buried beneath the many layers of experiences and lessons that life offers. But what if you did something to someone who was unable to move on? A person for whom your actions had become fossilized and hardened: Unacknowledged. Unrepented. What if someone from your past forced you to confront something that you had been hiding—even from yourself? There are those who are unable to let go, allowing a slight to gain momentum and reach critical velocity as resentment and anger seethe to a boiling point. 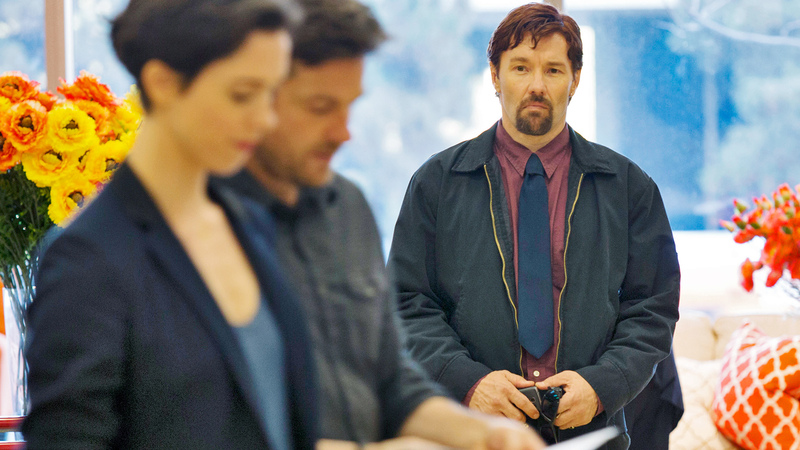 The Gift explores the impact of two people’s shared pasts colliding in the present, and the collateral damage that ensues. 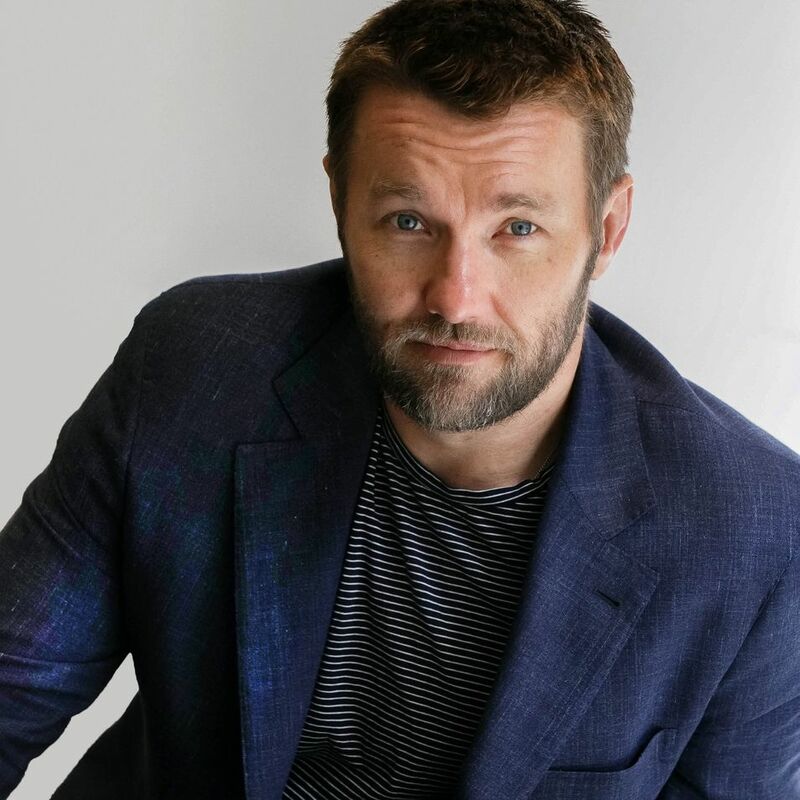 Joel Edgerton (Writer/Director) Joel Edgerton was born in Blacktown, New South Wales. He has appeared in such films as King Arthur, Ned Kelly and Star Wars Episode II: Attack of the Clones and Star Wars Episode III: Revenge of the Sith, portraying a young “Owen Lars,” stepbrother of “Anakin Skywalker” and uncle to “Luke Skywalker.” His other films include the Western Jane Got a Gun, the contemporary science fiction chase film Midnight Special, the crime-drama Black Mass, the epic retelling of the Biblical story Exodus: Gods and Kings, the psychological thriller Felony, which he wrote and starred in, the remake of The Great Gatsby, Zero Dark Thirty, The Odd Life of Timothy Green, the mixed-martial-arts drama Warrior and The Thing. Edgerton attended the Nepean Drama School in western Sydney and appeared in many stage productions. In 2009, Edgerton starred alongside Cate Blanchett as “Stanley” in the Sydney Theatre Company’s acclaimed production of A Streetcar Named Desire. Edgerton currently splits his time between Australia and Los Angeles. “I was interested in the aftermath of that kind of hurt; is it a good or bad thing to go and rummage around in the past,” explains writer/director Joel Edgerton, “and that’s really the starting point for the story.” Edgerton was intrigued by the concept that leaving past grievances dormant and the possibility of a chance encounter might resurrect old bad blood. Particularly, this film offered an opportunity to explore how these questions play out through the lens of a psychological thriller. In essence, the film is about consequences, culpability, and taking responsibility for one’s own actions. At its heart, The Gift is a cautionary tale about the aftereffects of not holding ourselves accountable. The Gift opens benignly enough, focusing on a couple ostensibly at the apex of professional and personal success as Simon effortlessly climbs the professional ladder, and he and Robyn move into their dream home. The simple elegance of the story’s mounting terror is a tribute to Edgerton’s deftly-crafted screenplay. A seasoned writer and storyteller going back nearly two decades through his affiliation with the Australian creative collective, Blue Tongue Films, Edgerton has never shied away from complicated characters and compelling narratives. On the contrary, the Australian native embraces topics and ideas that don’t easily lend themselves to cut-and-dried resolutions, but rather examine the more uncomfortable and nebulous moral questions that all people face at certain junctures. “Joel is such a strong writer and storyteller. I loved the script; I felt compelled to get involved with the project,” says Yeldham. What makes a thriller of this ilk resonate with audiences is the idea that there are extraordinary circumstances that are entirely within the realm of possibility. The fear springs from the relatability of the situation – it’s easy to envision Simon, Robyn and Gordo as people you know and encounter in everyday life—and even as people whose lives aren’t all that different from your own. This premise offers up fear with a more eerie, sophisticated subtlety than your standard fright flick. “A nice couple opens the door a little bit to a stranger,” Edgerton explains, “who then wreaks havoc on their life. That’s how we start, but that’s definitely not where we end. Simon (Jason Bateman) and Robyn (Rebecca Hall) are a young married couple whose life is going just as planned until a chance encounter with an acquaintance from Simon’s high school sends their world into a harrowing tailspin. Why some people are able to move on from youthful torment and others are profoundly scarred remains a mystery. So can bygones ever really bygones? Not surprisingly, there is no real consensus, even among the makers of the film. What The Gift addresses is what happens when someone is faced with a person who can’t get over the past. At what point does a sense of civility fall away, and uneasiness over a bygone person’s sudden reappearance in your life give way to a building sense of terror?